Are you interested in the full curriculum for 6 - 12 year olds? "I can’t begin to tell you how great a positive impact it is having on my sons' happiness levels and tranquility. It really is amazing." Tai Chi Cub "in the moment." Tai Chi Cubs wiggle! noodle! crouch, bounce, bend, swing, and roll their way toward mindfulness, relaxation, responsiveness, and doing their best. In just a few 30-minute lessons, four and five year olds can discover new patterns of relaxation and movement coordination that can take months for older kids to learn. 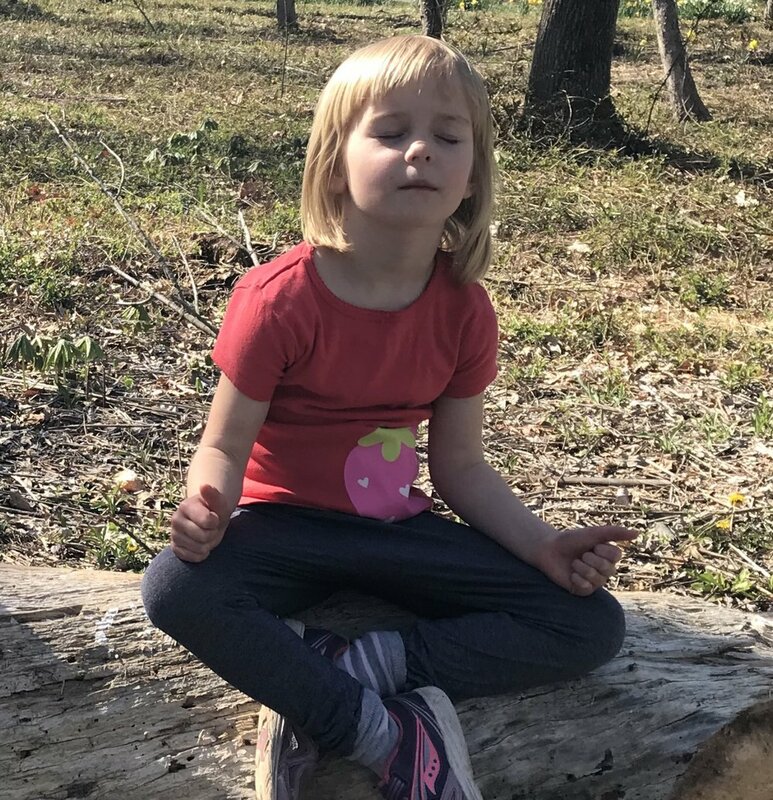 FUN FACT: During mindful movement challenges, it is estimated that your child’s brain will be forming 1.8 million new connections per second! It's great to begin before kids have stuck patterns (in movement or behavior)--and still have the pure joy of movement! Free and open to the public. Contact Mackenzie at jmhawkin@alumni.princeton.edu for dates. In private family lessons the kids get to play the SuperKid Game, where they complete mindfulness and Tai Chi challenges to collect coins, keys, gems, and other treasures for keeps! Private family lessons rate is $100 per hour. Contact Mackenzie at jmhawkin@alumni.princeton.edu for availability. "There was a noticeable shift in our day after class. My daughter seemed much more at ease and calm afterwards. She flowed through her work—math problems, independent reading, piano practice, and writing—almost effortlessly! I did not have to cajole her to do her work. She simply did it, on her own initiative. It was wonderful!"